Welcome to the website of the conference titled “History of Schooling: Politics and local practice”. 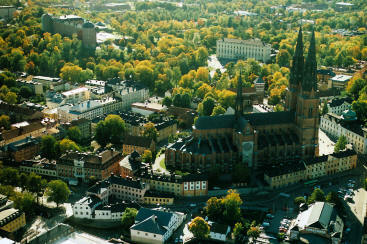 The conference will be held in 2011, June 8-10, at Uppsala University, Sweden. It is organized by Carla Aubry (University of Zurich) and Johannes Westberg (Uppsala University). In historical research, studies of education policy and local practice are often investigated in relative isolation from one another. There is a divide between researchers with focus on local studies and those which concentrate on the ‘bigger picture’. Projects tend to deal either with public policy and discourse, or with local practices and cultures. To integrate illuminating details and wider contextual relations inevitably means that theoretical clarity will sometimes be partially obscured by empirical messiness, while what appear to be significant details in particular institutional and national contexts may get lost in the attempt to make broader generalizations. The conference will focus on these different levels of historical research. In order to get fresh input (regarding theoretical standpoints, source materials, research literature etc.) the participants will present and discuss their phd- and postdoc projects on subjects such as language education, educational administration, student magazines and elementary school funding. More information about participants and the phd- and postdoctoral projects that will be presented, are available through links on the left.